1. Theoretical understanding of basic concepts, functions, and skills. 2. Practical applications of the knowledge into action through workshop sessions. 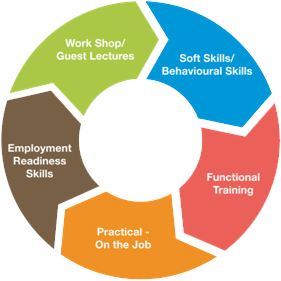 AMITY follows a holistic model of total learning which covers functional skills, behavioral and life skills, practical training (learning by doing) and employment readiness skills required to face interviews. 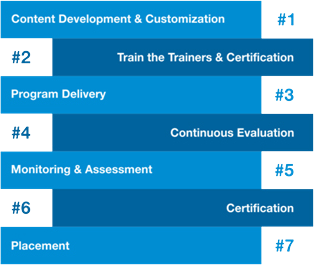 The following illustrations are highlighted to showcase the training and capacity building framework.